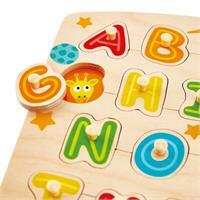 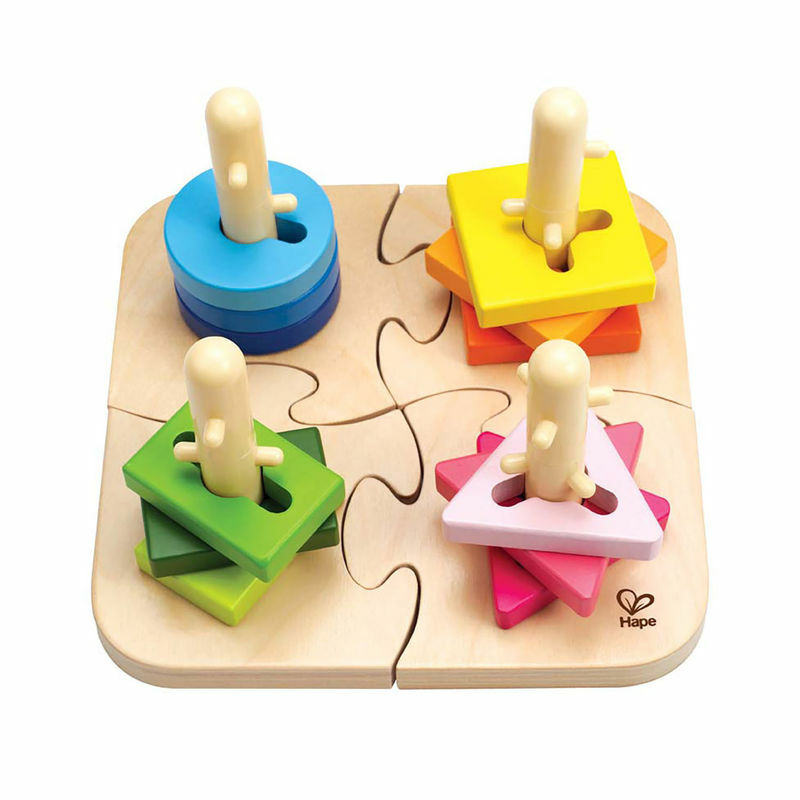 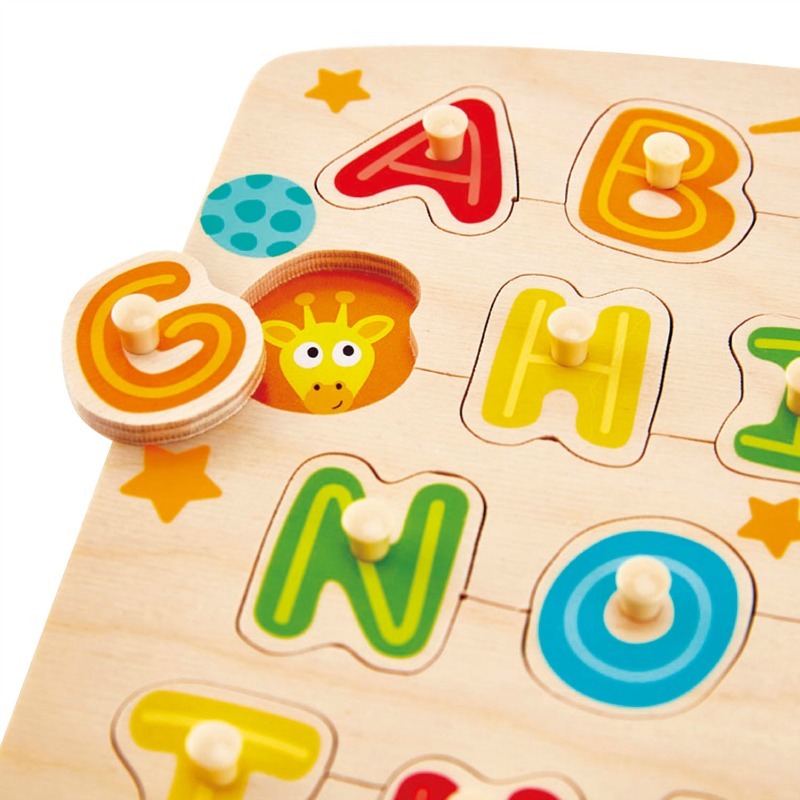 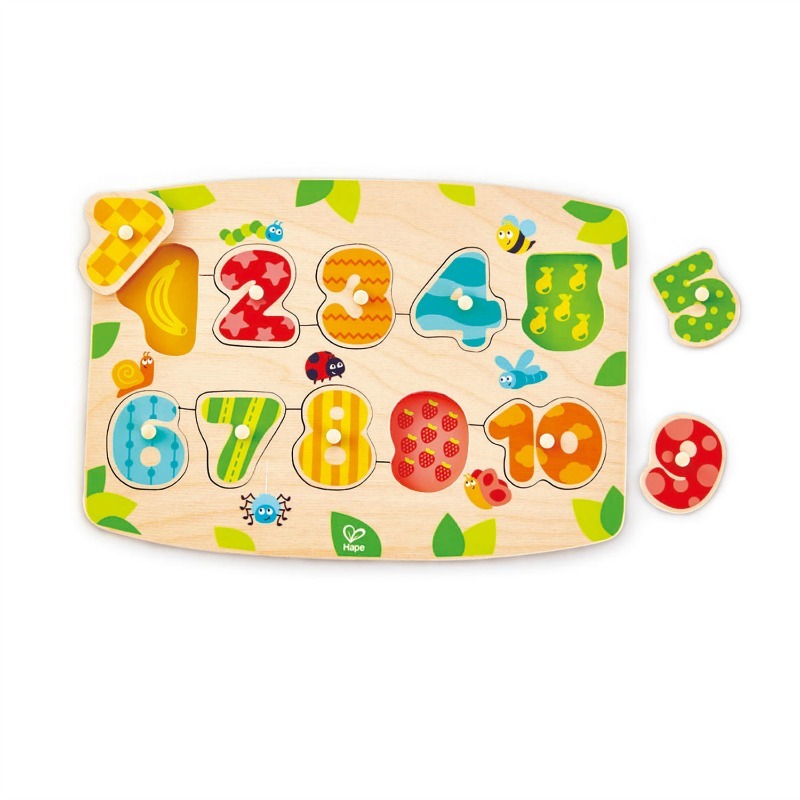 Learning the alphabet has never been so much fun thanks to this colourful, wooden alphabet peg puzzle. 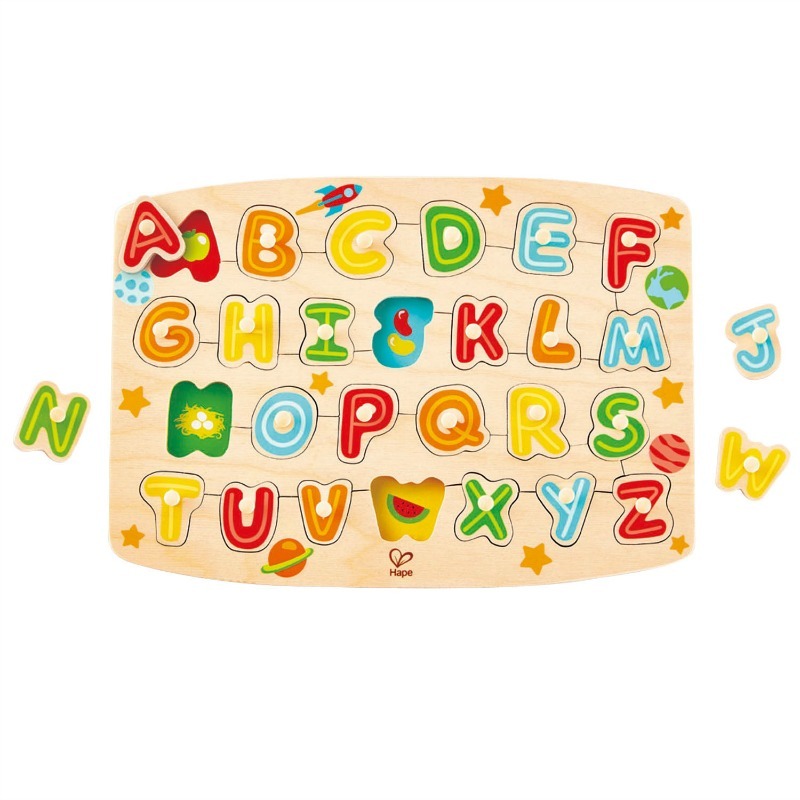 With bright and engaging pictures, discover the object hiding behind the letter and learn the letters and sequencing of the alphabet along the way. 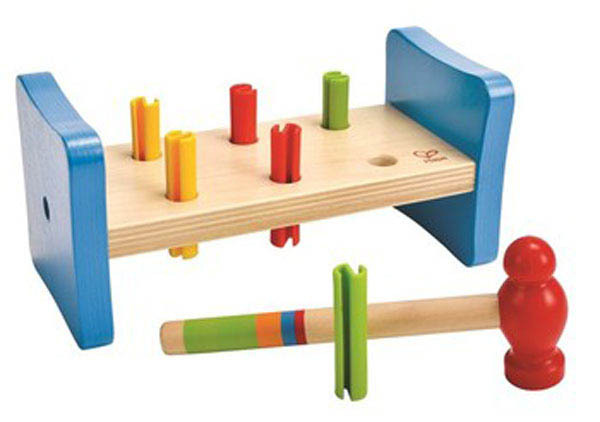 Measures 21cm H x 29cm W.